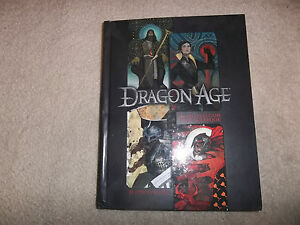 I have ordered the Dragon Age Core Rulebook and was just wondering if there have been any changes to the rules from the original boxed sets, to bring the system in line with Fantasy Age? I have Fantasy Age and the first two Dragon Age sets. The Core Rulebook combines the three sets into one book, advances the timeline of the game after the Fifth Blight, applies errata and concepts from Dragon Age: Inquisition, and includes a new adventure, "Invisible Chains". Dragon Age RPG Core Rulebook packs all the rules and background you need to get started inside one Free Dragon Age Adventure: The Dalish Curse (PDF).